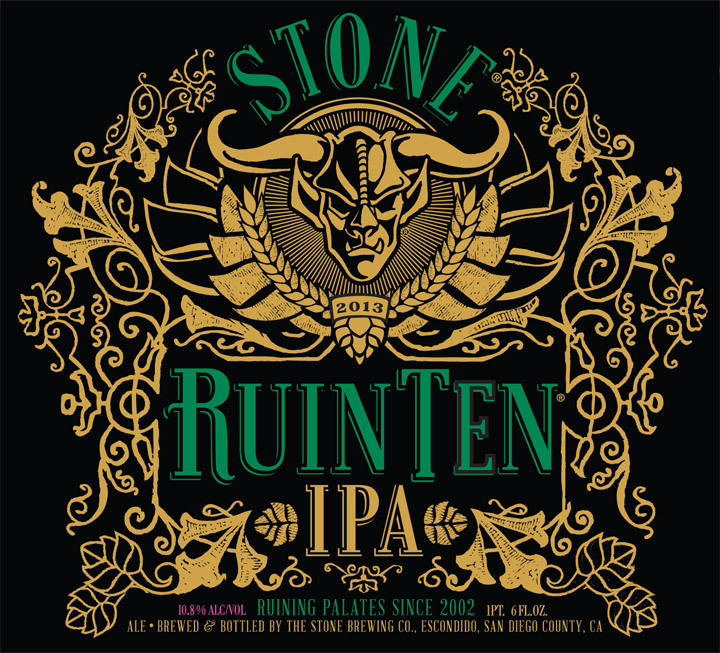 The BR Beer Scene: Stone Is Bringing Back Ruination Tenth Anniversary! 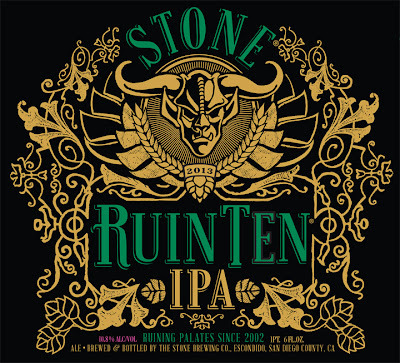 Stone Is Bringing Back Ruination Tenth Anniversary! RUINING PALATES SINCE 2002 n June 2012, we celebrated the 10th birthday of our notoriously mega-hopped double IPA, Stone Ruination IPA, with the release of a very special version that was even bigger and, incredibly, even hoppier than the original. 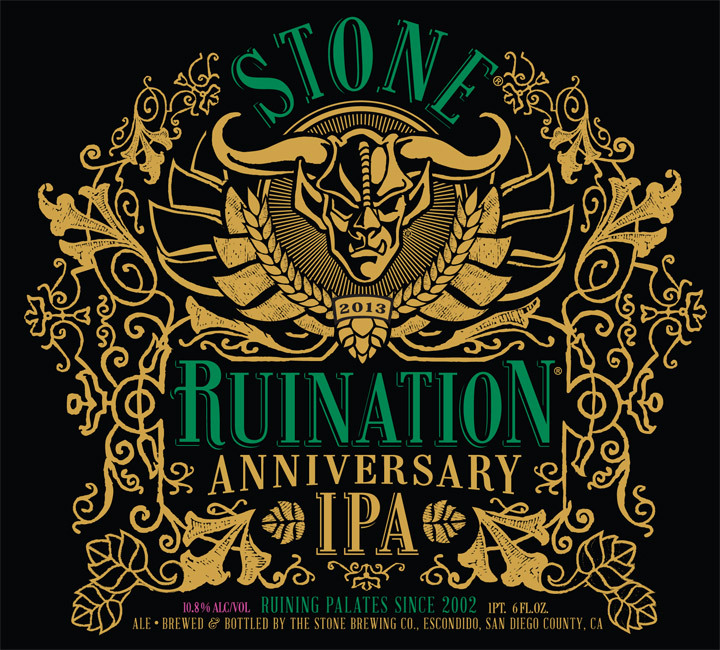 If Stone Ruination IPA is “A Liquid Poem to the Glory of the Hop,” then Stone Ruination Tenth Anniversary IPA was an amped-up heavy metal version of that ode delivered with the force of a sledgehammer. Luckily for us, our fans love loud and aggressive brews, specifically when copious amounts of humulus lupulus are involved. The original release of this beer was so instantly beloved by those who dared try it [particularly us] that there was no way we could relegate it to one-hit wonder status. You are holding in your hands a veritable hop monster. We dropped the word “Tenth” but the decidedly indelicate recipe is the same as the one first unleashed in 2012. This belligerently delicious ale has the substantial malt backbone needed to stand up to the whopping five pounds of hops packed into each barrel. If all the hyperbole hasn’t frightened you away by now, we know you’ll love this audacious gem of hoppy splendor just as much as we do.